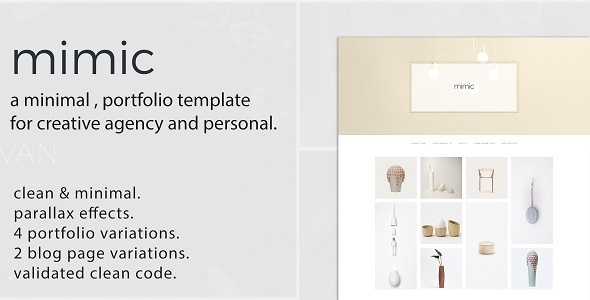 Mimic is a minimal creative HTML5 Template to serve every need. It is an elegant, responsive, minimal HTML template that answers to every users need. With its vast entirety, it serves with 4 portfolio variations, about us, service page, portfolio project page, 2 blog-pages format to satisfy different and difficult needs of a user. If you love the template, Don’t forget to rate us 5 stars and let us know your feedback.